Forever Alpha-E Factor is a skin-replenishing agent, containing rich ingredients designed to enhance your skin like nothing you’ve tried before. It moisturizes from within to deliver an ultimate smoothness to your skin for a younger-looking appearance. Superb combination of powerful antioxidants. Normalizes and balances dry skin. Ideal for almost every situation that requires topical application of natural antioxidants. 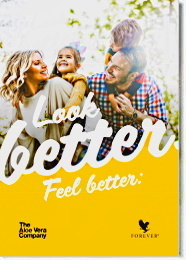 Vitamin E (as Tocopherol and Tocopheryl Acetate ). 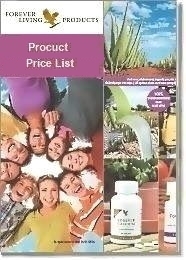 The "skin vitamin", an antioxidant that combats free radical damage, softens and moisturizes. Vitamin A (as Retinyl Palmitate ). A powerful antioxidant which enhances elasticity while moisturizing and reducing scaliness. Vitamin C (as Ascorbyl Palmitate ). Antioxidant which enhances elasticity. Also helps inhibit formation of scar tissue. Lecithin . An excellent emollient which improves suppleness of the skin. Borage Seed Oil . Provides the skin with gamma linoleic acid (an essential fatty acid) which helps restore moisture. Bisabolol . A natural, soothing ingredient with a light citrus aroma, suitable for even sensitive skin. Caprylic/Capric Triglyceride. A natural emollient from coconut oil which moisturizes without the heavy, greasy feel of other oils. Soybean Oil . A texture-enhancing moisturizer with antioxidant properties. These ingredients are combined with the purest humectants and emulsifiers to create one of the most versatile skin care products ever introduced. With the dropper, apply a couple of drops to face or neck, then blend gently with your fingertips. 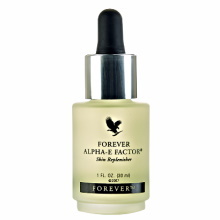 For maximum results, apply Forever Alpha-E Factor and Forever Alluring Eyes, followed by R3 Factor and Recovering Night Creme.